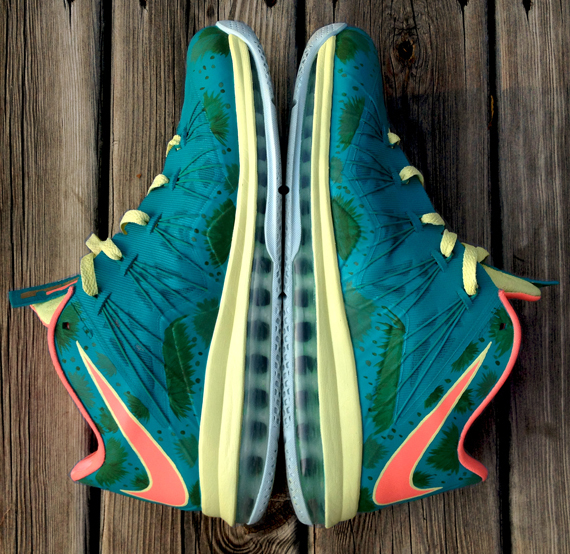 With the LeBron X gearing up to make its proverbial last stand before the LeBron XI is unleashed upon the masses, the low top version of the previously mentioned shoe has been receiving its fair share of love from the custom sneaker world. 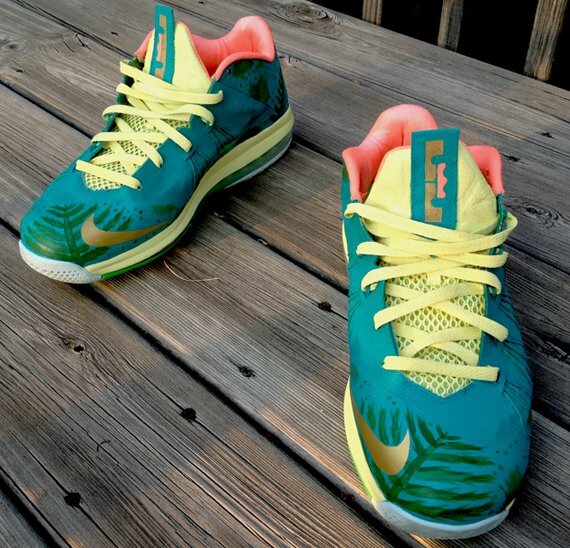 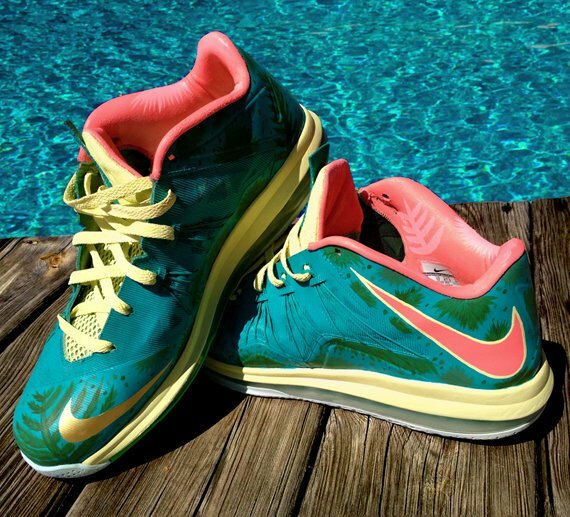 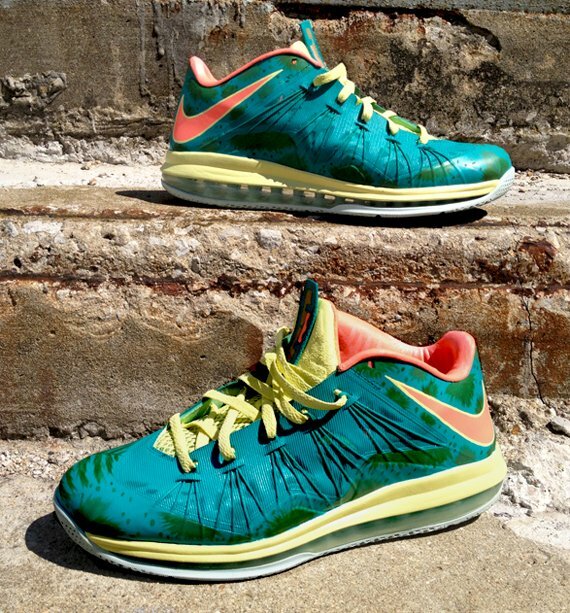 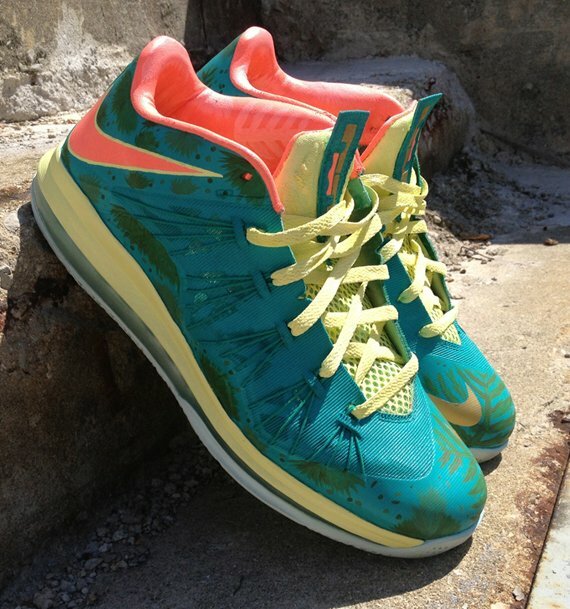 In re-creating the insanely popular and highly coveted “LeBronold Palmer” colorway from the Nike LeBron 9 Low, sneaker customizer DeJesus Customs has created this equally dope pair of Nike LeBron X Low “Reverse Palmer” customs. 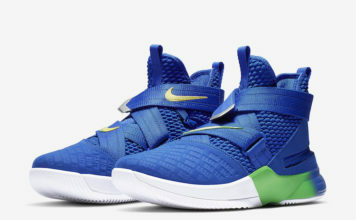 Using the same color scheme, DeJesus tweaks the design by using the blue as his base color as opposed to its yellow-led inspiration. 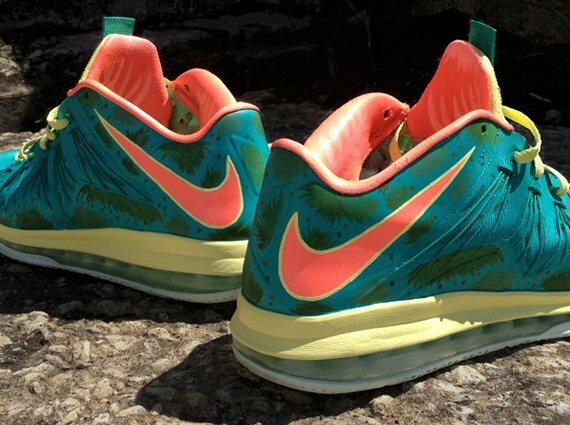 Keep reading after the jump to check out some detailed shots of DeJesus latest body of work and be sure to let us know where these rank amongst you favorite custom kicks.